Product contains milk, peanuts, egg, and soy. Produced in a facility that also processes wheat and tree nuts (pecans, almonds, coconut, cashews, walnut). 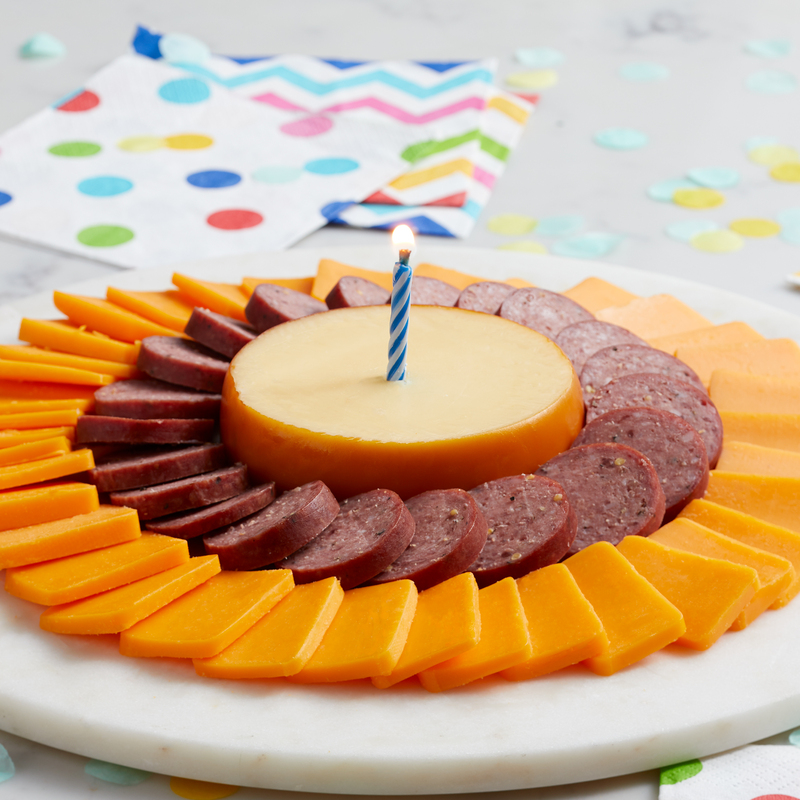 Give a birthday gift that has both sweet and savory flavors! 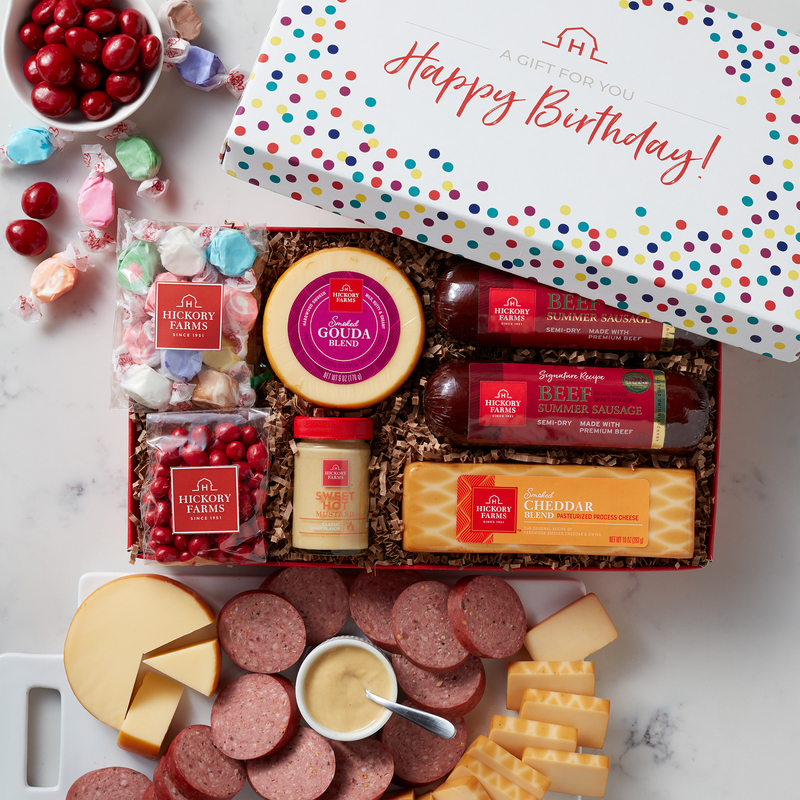 This festive confetti box is filled with our Signature Beef Summer Sausage, Smoked Gouda Blend, Smoked Cheddar Blend, Sweet Hot Mustard, plus salt water taffy and Boston Baked Beans. It's a gift that anyone would love to unwrap! EASY FLAT RATE SHIPPING – Just one charge per address!